This week for Let's Capture These Sketches, we were working with a Sketch by Cindy Stevens. Thanks Cindy for guest sketching for us! The best part about sketches for me, is having a base for breaking out of your usual comfort zone for a change. I loved that the format of this sketch was 8.5x11, and that my first challenge was to figure out how I was going to translate that to 12x12. Then I started breaking down individual areas and elements and figuring out how I wanted each set up, which is way more planning than I would ever consider when working without a sketch. The result is a page that has more straight angles than usual for me, and more white in one space than I have used in a long time. I'm quite happy with the fresh result. There are a ton of great examples from the Sketch team on the sketch blog, plus you can view the sketch and link your own take on it there. I felt the same way about converting it to 12x12. 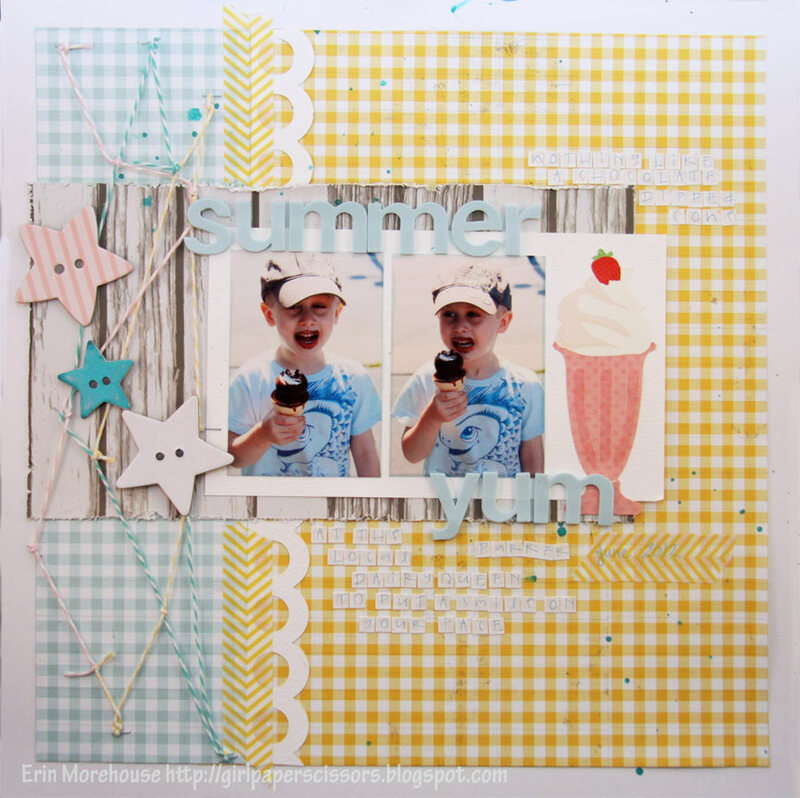 Live your take Erin and this colour combo, such a great line! I really like how you extended this sketch. It's amazing how it just flows. I'm here for Practical Scrappers Anniversary-didn't see a new post-but I joined your site.